79-110-04 White Pearl Air Brush Base 4 oz. 79-120-04 Platinum Pearl Air Brush Base 4 oz. 79-122-04 Silver Pearl Air Brush Base 4 oz. 79-125-04 Ebonee Black Pearl Air Brush Base 4 oz. 79-212-04 Blue Pearl Air Brush Base 4 oz. 79-216-04 Dark Blue Pearl Air Brush Base 4 oz. 79-250-04 Purple Pearl Air Brush Base 4 oz. 79-253-04 Lite Teel Pearl Air Brush Base 4 oz. 79-256-04 Medium Teel Pearl Air Brush Base 4 oz. 79-257-04 Dark Teel Pearl Air Brush Base 4 oz. 79-260-04 Blue Teel Pearl Air Brush Base 4 oz. 79-263-04 Deep Violet Pearl Air Brush Base 4 oz. 79-267-04 Purple Pearl Air Brush Base 4 oz. 79-290-04 Passionate Purple Pearl Air Brush Base 4 oz. 79-320-04 Brown Pearl Air Brush Base 4 oz. 79-421-04 Lime Green Pearl Air Brush Base 4 oz. 79-430-04 Forest Green Pearl Air Brush Base 4 oz. 79-435-04 Green Teel Pearl Air Brush Base 4 oz. 79-440-04 Dark Green Pearl Air Brush Base 4 oz. 79-510-04 Golden Orange Pearl Air Brush Base 4 oz. 79-520-04 Lite Orange Pearl Air Brush Base 4 oz. 79-530-04 Classic Orange Pearl Air Brush Base 4 oz. 79-540-04 Orange Pearl Air Brush Base 4 oz. 79-560-04 Sweet Orange Pearl Air Brush Base 4 oz. 79-610-04 Copper Pearl Air Brush Base 4 oz. 79-615-04 Screaming Yellow Pearl Air Brush Base 4 oz. 79-647-04 Gold Mine Pearl Air Brush Base 4 oz. 79-655-04 Evening Gold Pearl Air Brush Base 4 oz. 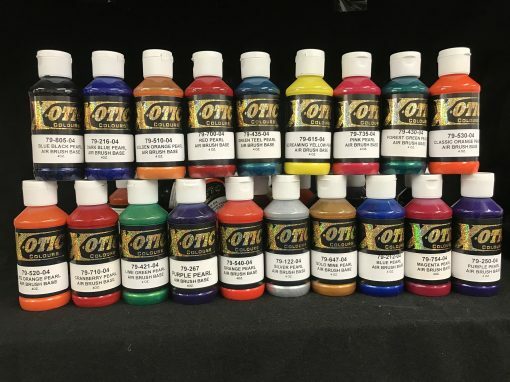 79-662-04 Knox Gold Pearl Air Brush Base 4 oz. 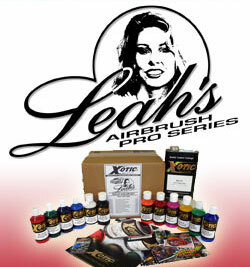 79-700-04 Red Pearl Air Brush Base 4 oz. 79-710-04 Cranberry Pearl Air Brush Base 4 oz. 79-712-04 Rasberree Pearl Air Brush Base 4 oz. 79-715-04 Cherree Pearl Air Brush Base 4 oz. 79-735-04 Pink Pearl Air Brush Base 4 oz. 79-750-04 Hot Pink Pearl Air Brush Base 4 oz. 79-754-04 Magenta Pearl Air Brush Base 4 oz. 79-801-04 Black Sparkle Pearl Air Brush Base 4 oz. 79-802-04 Black Turk Pearl Air Brush Base 4 oz. 79-803-04 Black Gold Pearl Air Brush Base 4 oz. 79-804-04 Black Violet Pearl Air Brush Base 4 oz. 79-805-04 Blue Black Pearl Air Brush Base 4 oz. 79-808-04 Black Lilac Pearl Air Brush Base 4 oz.